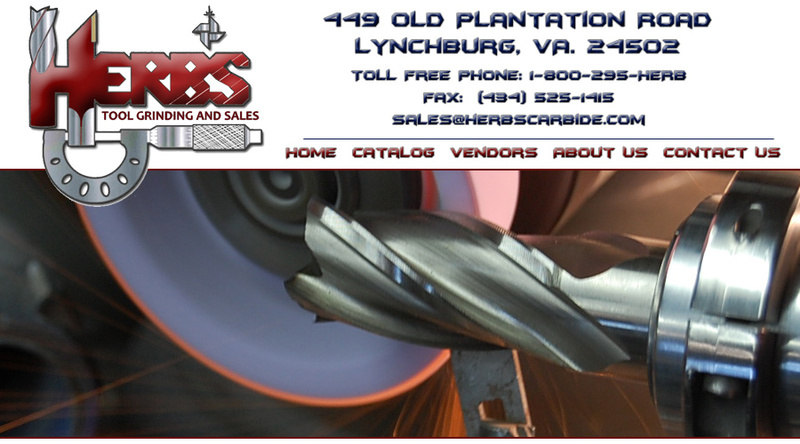 To ask for a quote on a special carbide order, please click here to send us an email. Tin (Titanium Nitride) - A good general Purpose coating. Improves lubricity and wear resistance of the tool. Ticn (Titanium Carbonitride) - A harder coating than Tin. It will generally be more wear resistant that Tin. TiAin (Titanium Aluminum Nitride) - This coating has a high heat resistance. It can be used in dry machining. AlTin (Aluminum Titanium Nitride) - This is a harder coating than TiAin. It can also be used in dry machining. Herb's Tool Grinding & Sales can also provide specialty coatings such as Balzers, Inc., Balinit Hardlube and SAC International Laser Cutt-964 (Rainbow). Many other types of coatings are available. HERB'S TOOL GRINDING & SALES, INC.